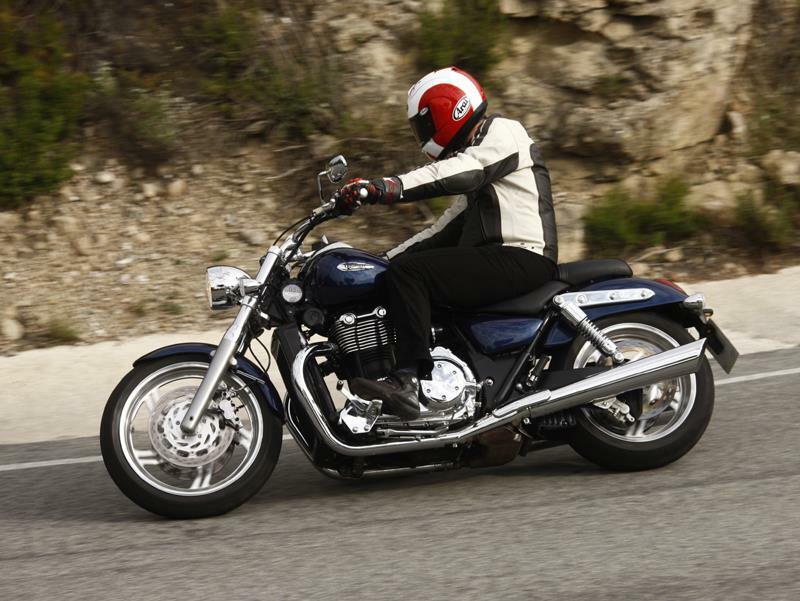 "The big 1600cc parallel twin engine is smooth yet full of character"
Phil West is on the world launch of the Triumph Thunderbird in Barcelona, Spain and these are his first impressions. ‘Triumph are heading into the big time with their new Thunderbird, they are already the world’s fastest growing manufacturer with sales up 17% year-on-year for the last five years. Now with the new Thunderbird they have very much got the vast, Harley dominated US cruiser market in it’s sights and on this first impression Harley should sit up and take note. On first impressions the T-Bird certainly ticks all the right boxes. The big 1600cc parallel twin engine is smooth yet full of character, immensely grunty and satisfying. The T-Bird handles as well as, if not better than any other big cruiser. Triumph went to great lengths to achieve this. Most impressive of all is the general quality; detailing and vast range of accessories available which means you can turn the T-Bird into virtually any style of cruisers you like. You can even get a 1700cc big bore kit to give it even more poke. "The big 1600cc parallel twin engine is smooth yet full of character" "The big 1600cc parallel twin engine is smooth yet full of character"